I have been in Australia for almost one month studying and traveling in this charming country which has many marvelous natural views. 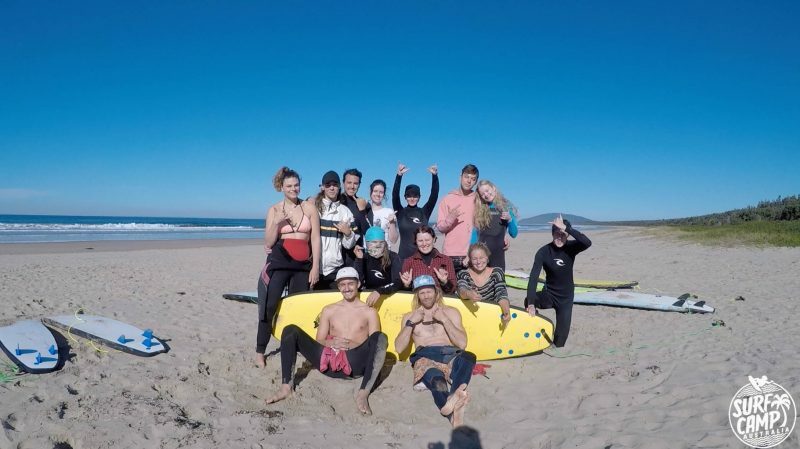 I think the 3-day surf camp is the most unforgettable and rewarding trip for me. 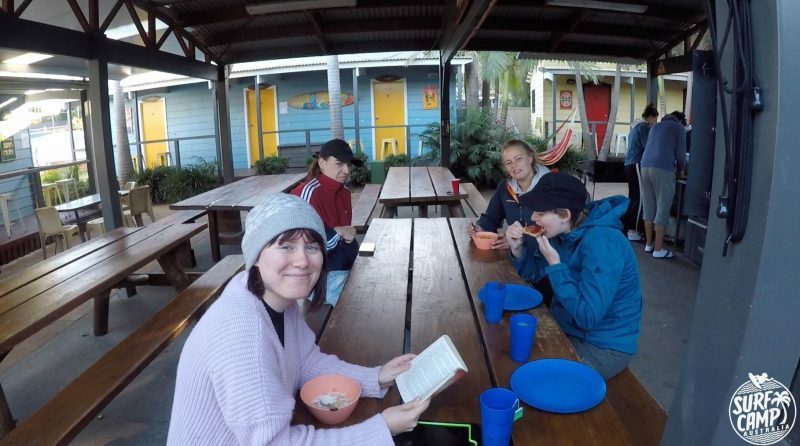 On Monday morning, we gathered together at the Wake up Hostel. I met many bag-packers from different countries. Then we began our trip. We chatted with each other happily and appreciated the beautiful landscape on the way to the beach. 2 hours went by very quickly, and then we reached the surf camp which is close to a 7-mile beach in Gerroa. We were greeted by a group of passionate staff members. They are all nice guys. They explained us the house rules and introduced us to the kitchen staff and instructors. The environment is really comfortable because there is not only hot showers but also warm and clean accommodation. After the orientation, we began our first meal here. It was a buffet lunch. We were provided with a wide variety of delicious food and drinks in the fair-sounding music. I enjoyed them very much. In the afternoon, we went to the beach and began our first surfing lesson. I was deeply absorbed in the beautiful views. The sunshine is warm and the sands are soft. This was a nice feeling walking on this kind of beach. Our instructors are three good-looking men who are really helpful and patient. During the first lesson, we learnt some safety rules and basic skills. 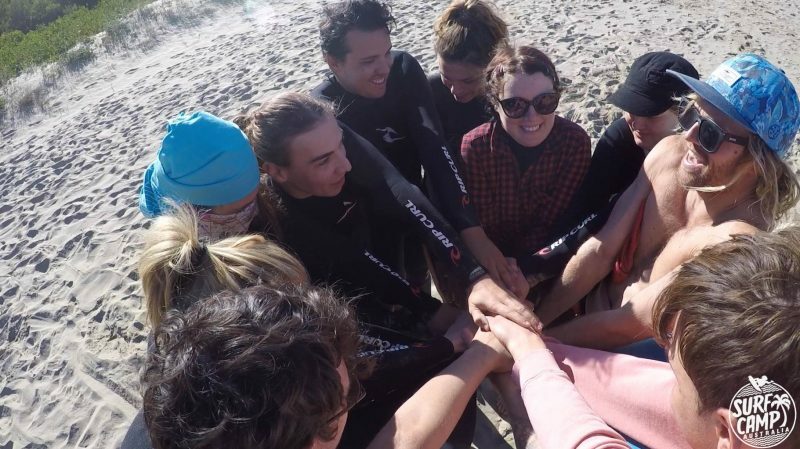 We practiced many times on the beach and the instructors would come and instruct us one-by-one. Then we went to the sea to have the first try. 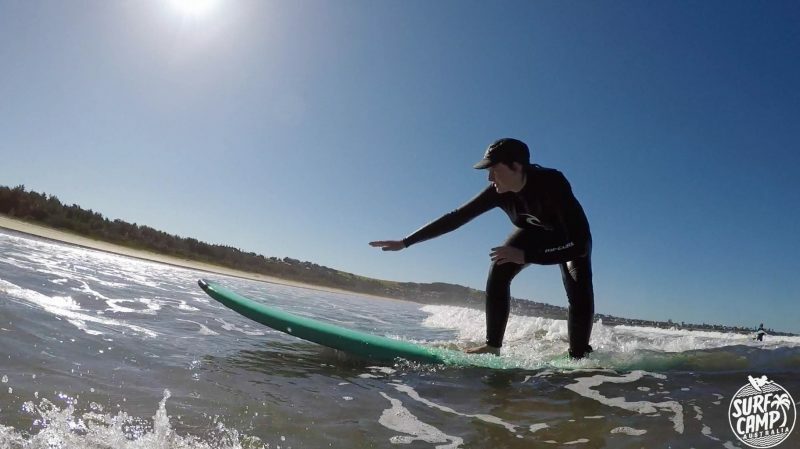 I was scared of the strong wave first but the instructor encouraged me. I kept practicing for a few minutes. 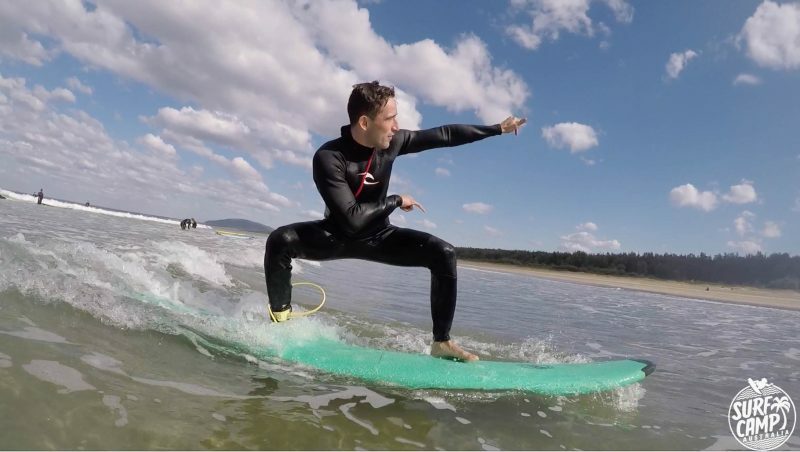 It was not a easy job to stand on the board successfully but all of we surf learners were practicing which I thought was really an unforgettable experience for all of us. At the following days, we had two lessons every day. We can learn some new skills during every lesson. The meals are different and we had a campfire party on Tuesday night. We played games and eating toasted marshmallows which were tasty. I have never eaten marshmallows in this way before. Three days passed quickly and I was reluctant to tear with my new friends, the instructors and all of the beautiful guys in surf camp. To sum up, it was an awesome trip for me which make me relax and have fun!! 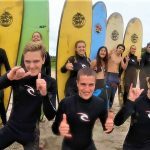 Surf camp Australia is definitely what you shouldn’t miss in Australia because it will bring you the most precious memories.